PetAlive Immunity and Liver Support for Dogs and Cats - 60 ct.
Home > Misc > See All Products > See All Dog Products > Immune Support for Dogs > PetAlive Immunity and Liver Support for Dogs and Cats - 60 ct. Immunity and Liver Support by Pet Alive improves liver health and eliminate toxins in dogs and cats and is especially beneficial for pets that have frequent vaccinations and antibiotic treatments. Immunity and Liver Support improves liver health and eliminate toxins in dogs and cats, especially in pets that have frequent vaccinations and antibiotic treatments. 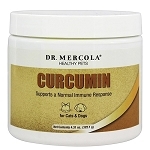 Boost immune functioning and resistance against disease and infection, including viral and bacterial infection. Improve liver health and functioning and aid in the elimination of systemic toxins. Act as a tonic for the lymphatic system. Help to counter the harmful effects of frequent vaccinations and antibiotic treatment. Promote and speed up healing and recovery after illness. Increase hemoglobin levels and prevent anemia. Promote vitality and balance in the body. Immunity and Liver Support capsules contain a combination herbs known for their ability to cleanse and purify the system, improve immune functioning and support liver health. Used as a general tonic or to protect against disease, Immunity and Liver Support capsules are also very effective during convalescence and can help your pet in the recovery phase after illness. My dog was diagnosed with lymphoma and is currently in remission. However, during chemo, her liver enzymes began to spike. While they have come down with diet changes and Denamarin, they are still above normal. Her last blood test did show the level dropped a little bit more. After all she has been through, I am just hoping we can keep her stable. Dandelion (Taraxacum officinalis) Dandelion leaf encourages proper liver function by suppressing fat accumulation in the liver. It contains many beneficial vitamins and minerals including Vitamin A, D, C, various B Vitamins, iron, zinc and manganese.Many of the nutrients have antioxidant properties which help protect the liver from oxidative stress. Echinacea (Echinacea purpurea) is well known for its excellent benefits for immune functioning and for its antifungal, antiviral and antibacterial properties. Used as a natural antibiotic, immune stimulant and anti-allergy agent, Echinacea is also effective as a tonic for the lymphatic system and has been investigated as supportive treatment in AIDS therapy. Regular use can help to keep your pet healthy and resistant to a range of illnesses. Ashwagandha (Withania somnifera) is also called 'Indian ginseng' and is one of the most important Ayurvedic tonic herbs, assisting with growth, health and vigor. Regular use can help to nourish the blood and increase hemoglobin levels. Recent studies have demonstrated that Ashwagandha has anti-tumor properties and can help to prevent or slow the development of cancers. It is an effective anti-inflammatory and has excellent calming properties. This herb is often recommended as a tonic to assist with recovery after illness. Milk Thistle (Sylibum marianum) is regarded as one of the most important herbal liver tonics and restoratives. The medical use of Milk Thistle may be traced back more than 2000 years. Milk Thistle has been subject to many clinical trials which clearly demonstrate its effectiveness. It is frequently recommended to counteract the harmful effects of prescription drugs and vaccinations on the liver and clinical studies have shown that it helps the liver to return to normal functioning. 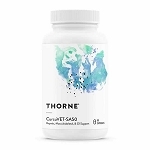 Scientific analysis of Milk Thistle shows that it contains a flavonoid complex called silymarin, which is largely responsible for the medical benefits of this herb. Silymarin is a powerful anti-oxidant and can block the entrance of toxins into the liver and remove toxins at cellular level, thereby resulting in regeneration of liver cells and improved liver functioning. This would have a direct impact on the overall systemic health of your pet as the liver is one of the most important organs in the body. The capsules may be given whole or opened and mixed with food or a treat, depending on your pet's size and preferences. For more information, visit our webpage: Liver Disorders in Pets and Immune Support for Pets. 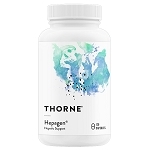 Thorne Research Hepagen - Natural Liver Support for Dogs & Cats - 120 ct.
Thorne Research CurcuVET-SA50 - Curcumin Turmeric for cats & small dogs - 90 ct.